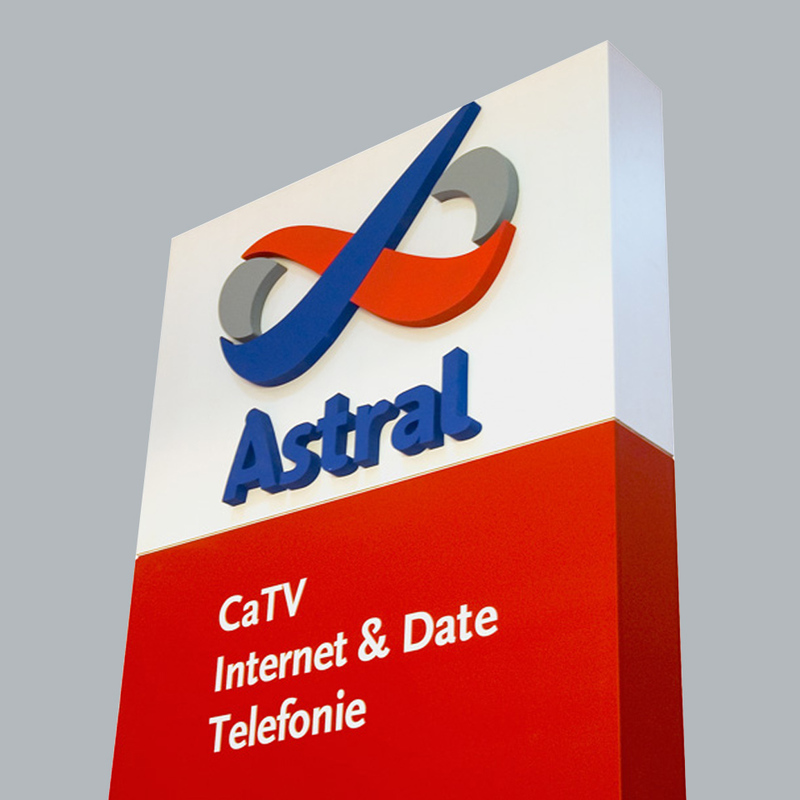 After years of successive mergers and acquisitions and partnership with investments funds, Astral Telecom was a heterogeneous company, willing to reinforce its leadership. Brandient was appointed to carry out the rebranding according to the new corporate vision and strategy and to reflect the growth-related changes in the organization. 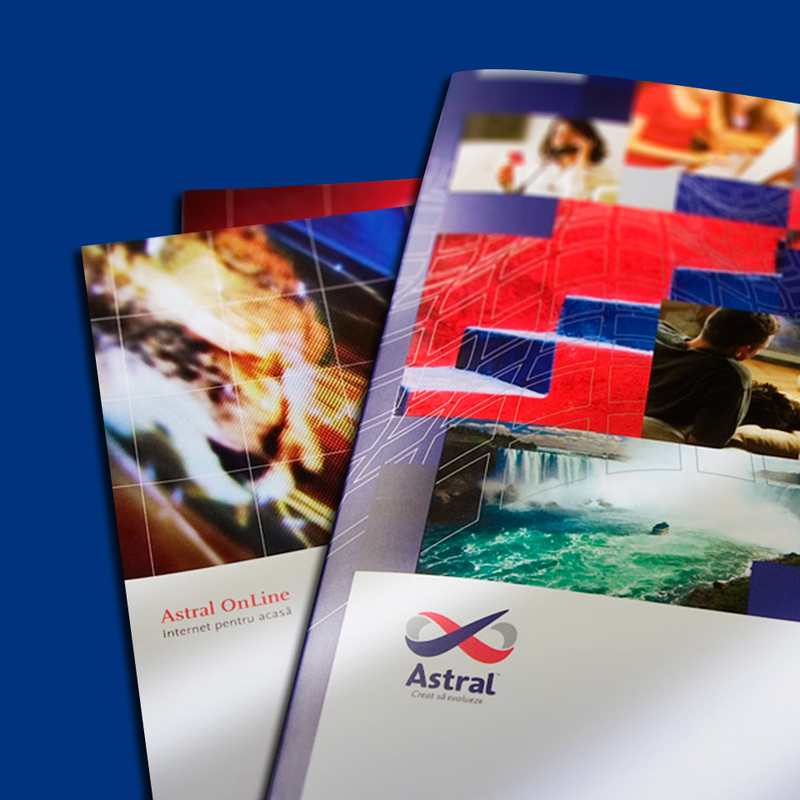 The corporate logo was designed as an open infinity symbol (lemniscate) that stands for the process of steady evolution Astral has embarked on. The logo and other graphic elements (fluid networks, stairs, grids) had to deliver the spirit of an organization engaged simultaneously in fluid evolution and Cartesian rigor. 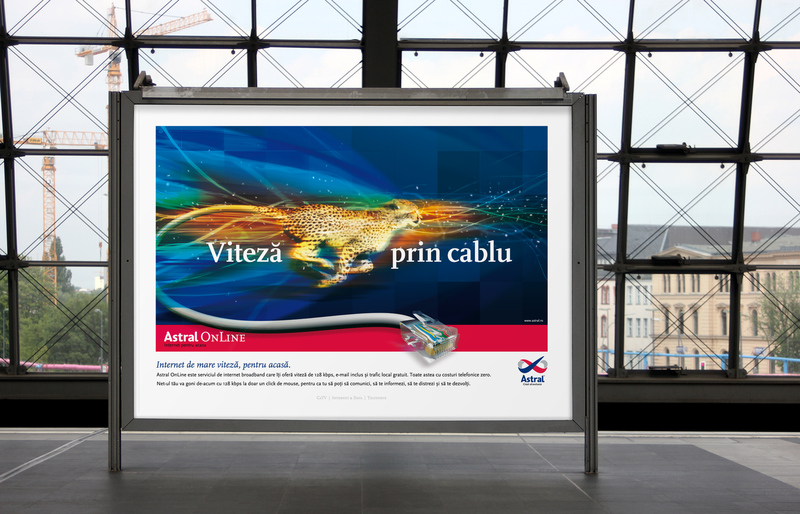 The whole visual platform respires the graphical synergy while the rich red and blue colors confer a dynamic elegance. 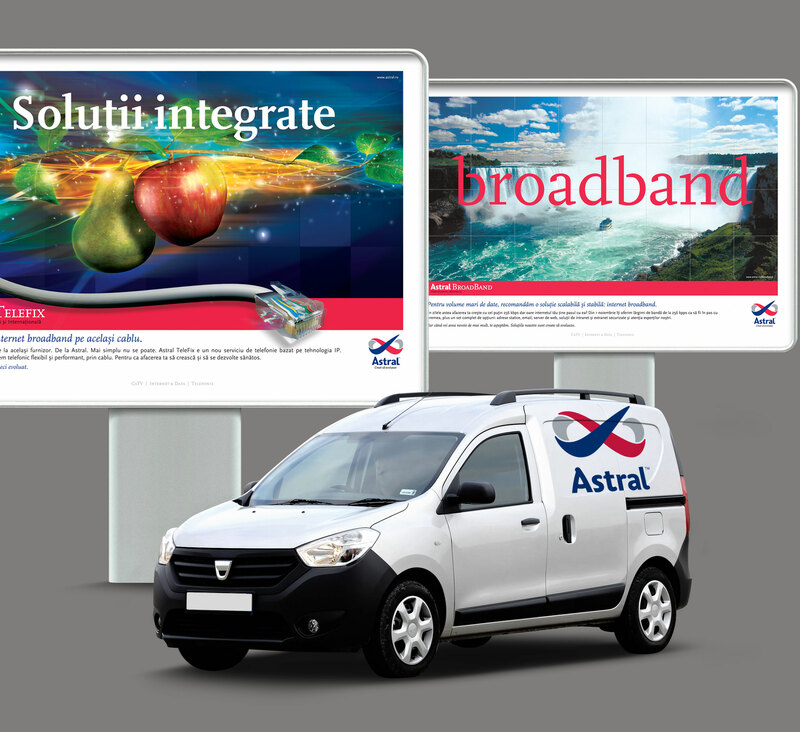 The new brand identity delivered a strong and unitary image and delivered huge shareholder value, Astral being acquired in 2005 by the global player UPC for US$ 420 mil — still the highest amount paid so far in Romania for a company built from scratch by local entrepreneurs.